The Sixers have won the season series 2-0. After winning five of seven, the Phoenix Suns have now been handed their fourth straight loss of a seven-game homestand, this one by the Philadelphia 76ers. The visitors survived a late rally by the lowly Suns to clinch an impressive 132-127 road victory, improving their road record to 9-11 on the season. Despite having the same number of wins now as the Indiana Pacers, the Sixers lag behind in win percentage and are currently 4th on the East leaderboard, with a 25-14(0.641) win-loss record. 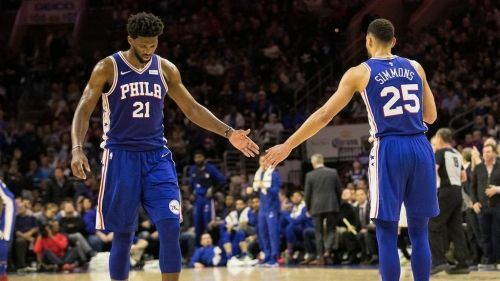 After having beaten the sturdy Clippers side recently, the Sixers coasted through their opposition at the Talking Stick Resort Arena to record their sixth win of the last ten games. On the other hand, the Suns have now lost six of their last seven matchups, their 9-30(0.231) record good enough to be the second worst in the league right now. With their most recent loss, the Suns have now dropped 15 home and 15 road games this season, with the inevitable tanking procedure sitting right around the corner. 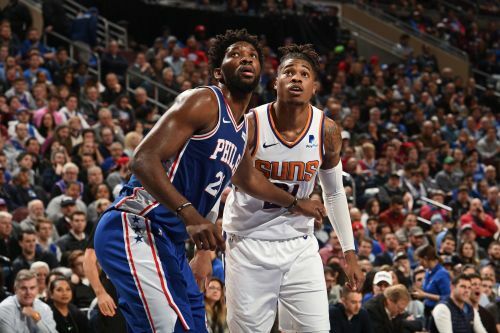 Let's draw out some key takeaways from this imposing road win for Philly over the dispirited Suns. Embiid's is leading the league in double-doubles this season. "Now eight of those types of first halves (for Embiid) this year," Coach Brown said, "just incredibly dominant." Embiid pulled down 18 boards(four of them on the offensive glass), along with three steals and a couple of blocks, as this was his sixth straight game with a 20+ point score. Sophomore Ben Simmons seized the opportunity to score a season-high 29 points against the Suns, also contributing six assists in his comprehensive 40 minutes of playtime. The inclusion of Joel into the lineup(after return from injury) has had a visible effect on Philly's rotation, keeping in mind that they suffered a season-worst 34-point loss against the Trailblazers in his absence. They are 2-0 since the big man's return.